A good make-up brush needs to be treated and retained regularly for a longer duration. 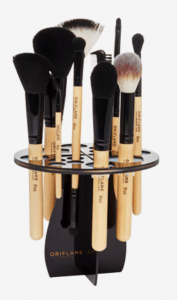 With space for 14 brushes, this holder helps in the drying process while protecting them. The brushes are bought separately. Experience Oriflame’s Precision Makeup Brushes collection . 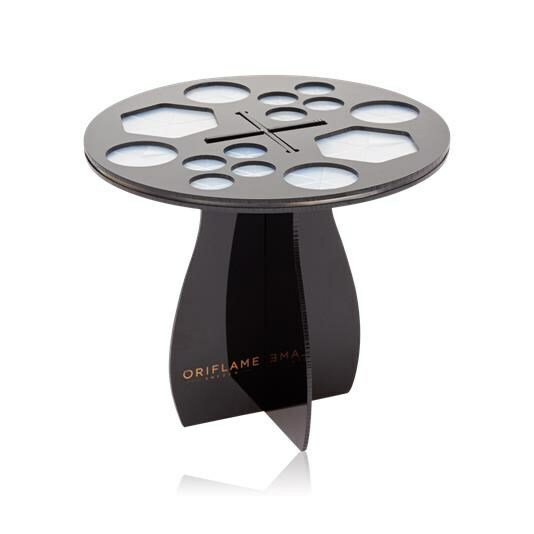 Practical tabletop holder for make-up brushes, foldable, with space for fourteen brushes, in three different dimensions. After cleaning, place the makeup brushes in the holder to dry. Materials: acrylic, silicone. Diameter: 13 cm, height: 10 cm.